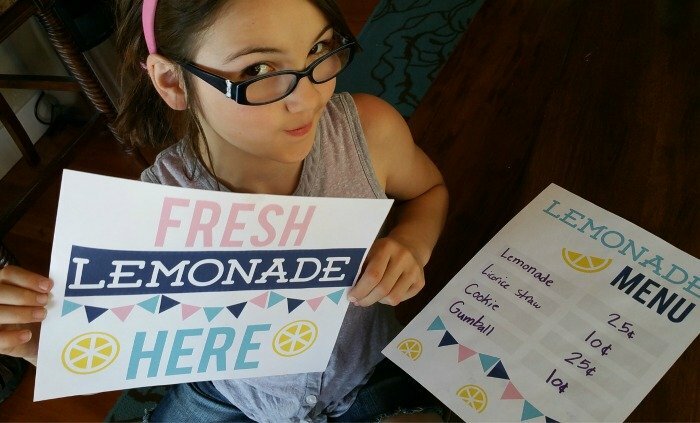 If your kiddos are looking to take on an entrepreneurial adventure this summer then my Free Lemonade Stand Printable Kit will be a big hit! I remember setting up lemonade stands as a kid and it was such a fun way to spend the day. 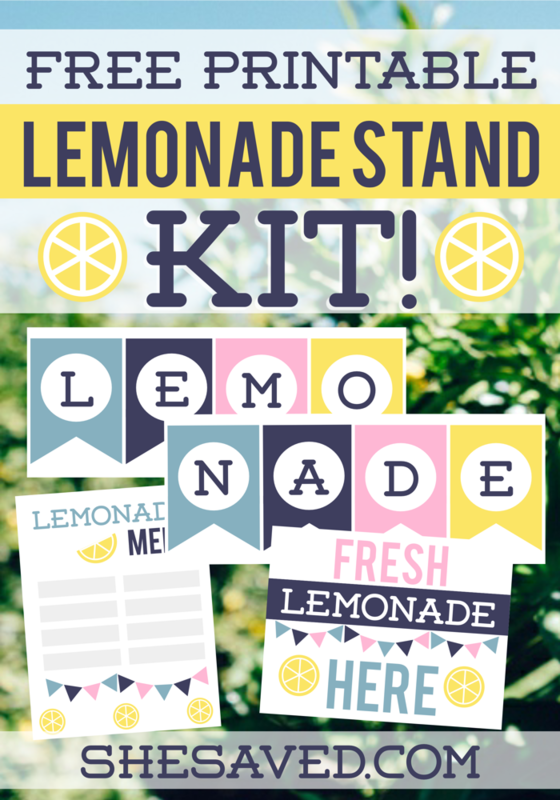 My kids LOVE to run their own stand, and this Free Lemonade Stand Printable Kit will make it easy for them to get started! Just go here to print out your free lemonade stand printable kit. If you don’t want to use up a bunch of color in in the process, just set you printer to print in black and white and your kids can use markers or crayons to add the color to their sheets. I am so glad you are upholding the age old tradition of lemonade stands! What kid doesn't love doing this? And thanks for the beautiful graphics! Adorable! 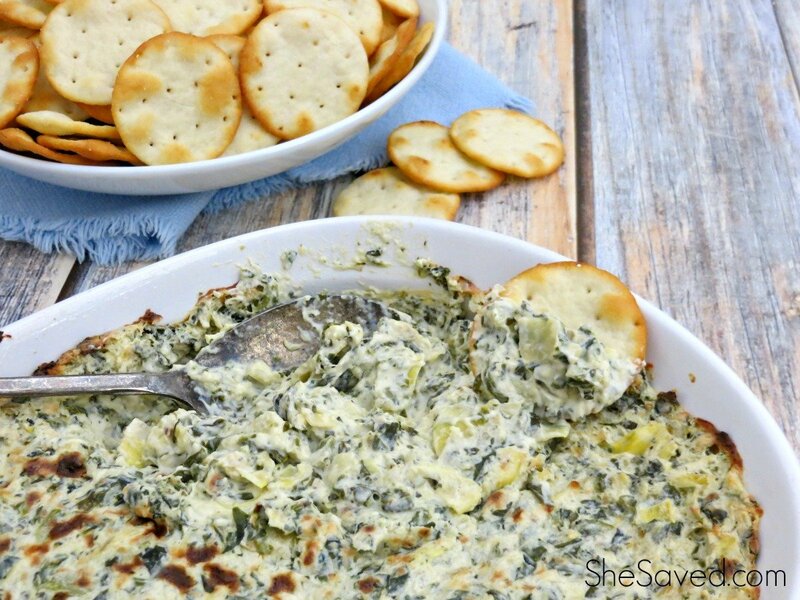 Pinning and sharing on Facebook this week. You rock! My daughter's been asking to have a lemonade sale. 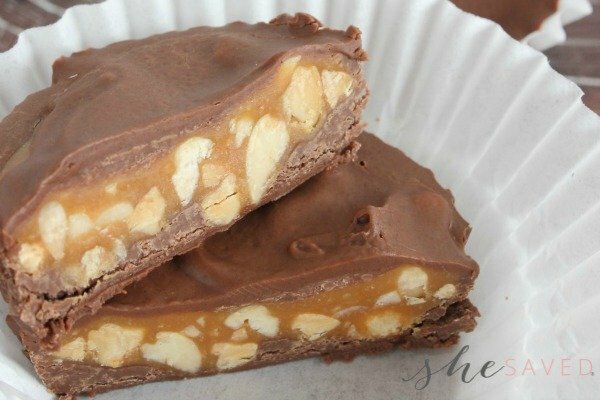 I think you just made my job easier! lol!